Donald Trump’s victory has sent many into orbit. Abortion advocates are deeply worried that the new administration might overturn Roe v. Wade—and more pertinent to those financially benefiting from the abortion industry—end taxpayer funding of the nation’s largest abortion chain, Planned Parenthood (for example, see here and see here). Let’s get these words out of the way: Devastated. Angry. Shocked. Disgusted. But mark these words: Planned Parenthood’s doors stay open. Anyway, the sentence in this press statement that leapt off the page and tried to short-circuit my brain was this one: “Health care should not be political” (see here). What a baffling statement from Cecile Richards who is the president of Planned Parenthood Federation of America AS WELL AS Planned Parenthood Action Fund! Planned Parenthood Federation of America is the 501(c)(3) that cannot legally endorse a candidate during an election, whereas Planned Parenthood Action Fund is the 501(c)(4) that can legally endorse a candidate during an election. Cecile Richards endorsed Hillary Clinton early in the campaign (January) and stated its advocacy organizations would spend at least $20 million dollars to get her elected (see here). So here is a crazy question: If Planned Parenthood is really a healthcare provider, and healthcare should not be political, then why does Planned Parenthood invest so much time and money into politics? The answer should be clear. Planned Parenthood has one CEO who runs Planned Parenthood’s abortion chain with its 501(c)(3) face, and heads Planned Parenthood’s deep participation in politics with its 501(c)(4) face. 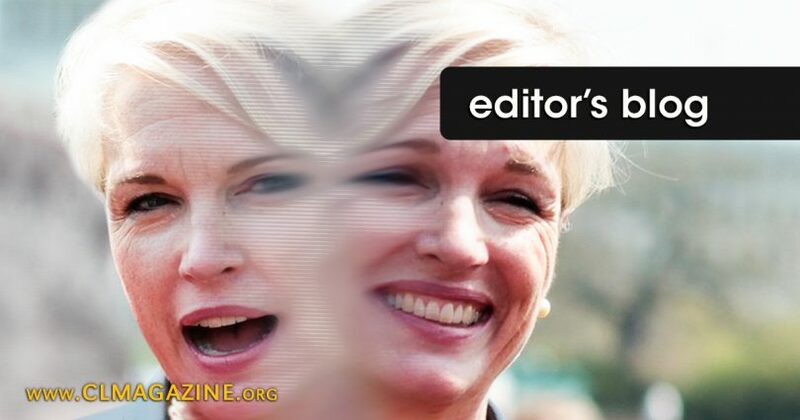 This allows Planned Parenthood to make insincere and contradictory statements like “[h]ealth care should not be political,” since the organization is truly two-faced.